Change out your ancient front drums with 4 bolt spindles for affordable disc with our CNC laser cut ..
We now offer a simple disc conversion for your classic 1954-56 B series half ton Dodge truck. 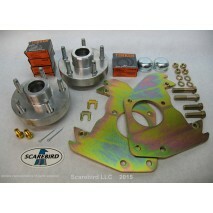 T..
We now offer a simple disc conversion for your classic Ford 1/2 ton F100. This setup uses 1995-..
We now offer a simple disc conversion for your classic Dodge truck. This uses 1998-02 Ford.. These hubs offer a simple bolt on solution with our brackets. They made in the USA T6&nbs..
We now offer a simple disc conversion for your classic Dodge 1957-71 3/4 ton 2WD truck. 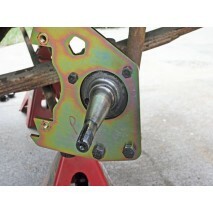 This us..
We now offer a simple disc conversion for your classic GM 1/2 ton 2WD. This setup uses 1995-98&..
We now offer a simple disc conversion for your classic Ford 1/2 ton van. This setup uses 1995-9..